Choosing the right hosting for your WordPress site is one of the most important decisions you will make for your company. The right hosting ensures a great customer experience. The right hosting is safe, secure, and most importantly, SUPER FAST. Over the years I’ve had experience with a variety of hosting options, and I am excited that I found one of the best WordPress hosting solutions out there. In 2016 I moved from BlueHost to SiteGround – and since I’ve had experience with both, I wanted to provide a breakdown of my experience so that it may help you with your own decision-making. 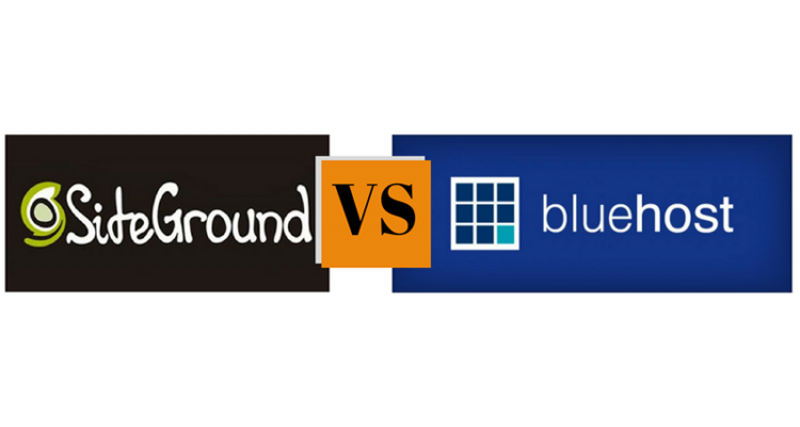 Here is how SiteGround stacks up against Blue Host based on my own experiences. I was with BlueHost for a while and their speed was pretty good. But that was 3-4 years ago. Last year I started to get frustrated with slower and slower speeds from BlueHost. But I stuck it out with them for a year – I had a number of websites hosted with them and it seemed like it would be a pain to switch to a different hosting company. Then, I just couldn’t take it anymore. Not only was my hosting speed getting slower, my wait for any help with customer service went from 1-2 minutes tops, to 30 minutes or more. I knew that Google places a premium on speed when it’s considering ranking a page for SEO, so Blue Host’s problems were starting to negatively impact my business. High bounce rates (an indication of a poor experience) and low conversions were starting to hurt. So I decided to move to SiteGround. Wow! What a difference. After an incredibly easy move – in fact, I opened my account at midnight and when I woke up the next morning, SiteGround had already moved my entire site over without a hitch – my bounce rates plummeted and my site speed improved dramatically. Here’s a snapshot of my Speed Report from Pingdom – Before and After. When you’re running WordPress, you want to make sure that your hosting provides you the added security on top of using the right WordPress plugins to protect your site against hackers. SiteGround is not only secure they also offer Hacker Alert – which protects your WordPress site from attacks. If there’s one thing about SiteGround that always amazes me, it’s their Customer Service. No matter the time of day or night, I can get someone on their online chat in 90 seconds or less. I really don’t know how they do it. The moment I opened my account I had a top-notch customer service experience. At that time, it was late at night and I was finally fed up with Blue Host and their slow speeds and terrible customer service. So I went to SiteGround and opened up the chat window. Within seconds, someone was on the line, walking me through the transfer process. And their attention to their customers continues—well after the initial sign up. I’ve had a few questions over the past year, and each time I’ve been able to get someone on the online chat within 90 seconds or less—no matter how late it may be. Speaking of transferring your website – the experience I had with SiteGround was nothing short of “magical”. As I just mentioned, it was late at night and I was finally frustrated enough with Blue Host that I was ready to leave. Honestly, I stayed with Blue Host longer than I should have because I didn’t want to go through what I thought would be a hassle to move hosting providers. But that night I got on a chat with SiteGround and opened my account. It was probably around midnight. When I woke up at 5am the next morning, everything had been moved over. The only thing I needed to do was open the account the night before – they took care of the rest. So if you’re ready to move your WordPress site over to world-class hosting—or you want to start off right the first time—click here to get started with SiteGround today. WordPress hosting starts at only $3.95/month.